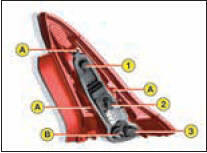 - Direction indicator: P21 W.
- Reversing lamp: P21 W.
To have access to the nut B, detach the boot rear trim by removing the pins. Undo B. 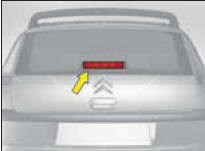 Remove the bulb-holder by detaching the points A. Disengage the lamp unit. To change a bulb, rotate it a quarter turn. 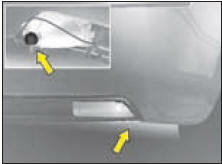 - Insert a thin screwdriver into one of the holes on the outside of the plastic cover. - Remove the plastic cover. 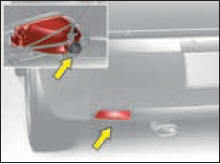 - Replace the faulty bulb by simply pulling it out. Rotate the bulb-holder a quarter turn. 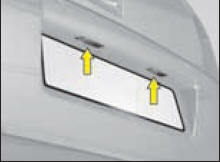 After replacing a bulb, check the correct operation of the lighting and signalling.